What Is The Purpose Of The Mini Vault? This is the vault that every business should have, even if they think they’re too small to have a vault. The mini vault is the solution to that problem by providing a small but immensely powerful vault that stores your goods and valuables. You can have up to £4000 of insurable cash in the mini vault and still feel confident walking away from it. The 4mm body and 8mm thick steel door design gives this hefty vault a serious look and feel. Combine that with the mounting bolts for rear or floor mounting and you have a great way to have a permanent vault without the bank’s involvement. This is a perfect way to put your documents, your cash, your valuables, your prized possessions, or anything else away until you pull it out again. This mini vault is small enough to hide away under a desk or in a corner, but also powerful enough to be a visual deterrent to any theft attempts as well. Where Can The Mini Vault Be Used? 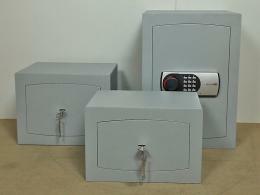 This mini vault is not a portable safe, so it should be used in a place that can remain constant. 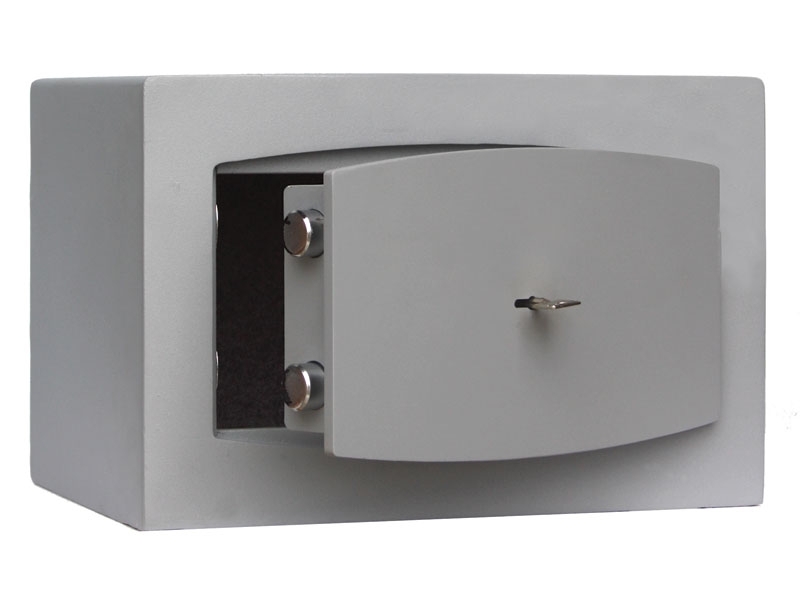 Bolt this mini vault under your desk or behind your door at the office. It acts as a great way to store cash until your next bank visit. You can also store away the small valuable times for sale during the nights or weekends the store isn’t open. Put one of these in your home or garage for your personal possessions as well. Who Might Use The Mini Vault? Home owners who want a place to store highly-prized items can store them in here. Office owners with goods and cash they need to protect can use this as well. 4mm solid steel body with 8mm solid steel door. 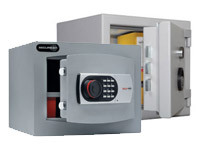 Digital combination lock or key lock options available. Various models available. See catalogue for choices. All models come with 12 months warranty.